ESS Shakuhachi Forum :: Hello ! Posted: 2012-10-30, 21:30 Post subject: Hello ! I discovered Shakuhachi a little less than one and a half year ago. I learn to play it little by little in self-taught. I have two Shakuhachi, Jiari 1.8 and Jinashi 1.8. The sound of this instrument fascinates me, and that was a revelation when I discovered his existence on the Internet. I fell in love with this instrument which for me is the most beautiful instrument of the world! Terribly difficult, but which gets an immense enjoyment. I now begin to feel more comfortable with first octave and to make sounds which please me, but I begin recently to make the notes of second octave, and of course, it is horrible to listen to! But I read on the forum that it is normal and that is needed a lot of time, patience and humility. I understand with Shakuhachi what really mean these words, and the learning of this instrument is for me an initiatory journey. I have a question for the care of my Jinashi. I put until now nothing above for one year, but recently, it seemed to me a little bit dry, also I put walnut oil outside, it seems to appreciate. My question is the following one, have I to put it also inside? Posted: 2012-10-31, 12:56 Post subject: Hello ! I have researched the question of oiling the flute and decided not to, I think daily practice helps maintain the flute. Posted: 2012-10-31, 17:04 Post subject: Hello ! Yes the inside of the jinashi shakuhachi is the most important to oil. Any good quality vegetable oil can do, so walnut oil I can imagine is wonderful. Traditionally camelia oil was used. But that is expensive to get and I didn't find it to be exceptionally better than other kinds of oil, so a good quality oil should be ok.
As Fiona mentioned, every day use of the shakuhachi should keep it moist enough. But some times they do seem to get a little dry. Do you use tsuyutoshi to wipe off the excess humidity from the bore when you finish playing? Posted: 2012-11-01, 14:48 Post subject: Hello ! Thank you Fiona and Kiku. I am sure that a daily practice maintains the necessary humidity, but I cannot play every day. Especially since I find that Shakuhachi requires (in any case for me) an important internal energy, that I do not have when I go home from work in the evening! I dedicate myself to it the weekend and on holidays. I know that it is not enough, but they are moments when I feel in sync with this instrument. Anyway, I shall not become a big player of Shakuhachi, and that has no importance, I move forward with the rhythm which is mine. Kiku, by following your advice I also oiled the inside of my Jinashi. I shall also continue to make it outside because that gives it a beautiful amber color and because that highlights roots and zones more dark on the body of the instrument. I love it. Yes, I use a tsuyutoshi every time, then I tidy up it in a woolen and silk bag with a plastic which prevents the humidity from evaporating, then I put it in a solid case planned to transport shakuhachi. Thanks to both for your kind advice. Posted: 2012-11-07, 02:20 Post subject: Hello ! I hear that you want to play the shakuhachi for yourself. I liked the way you described picking up the flute when you feel in sync with the instrument and was reflecting on this while practicing. I noticed how much I was trying or forcing the breath, feeling really tense and out of sync. Also, thanks, will take better care of my jinashi. Bye for now. Posted: 2012-11-07, 15:37 Post subject: Hello ! 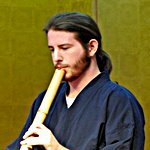 For me, part of the shakuhachi experience is using it to help get me to that space where I can play/practice. Give it 5 or 10 minutes regardless, and observe what happens. If it turns into a full 45 minute to an hour practice session, wonderful! If not, try again tomorrow. Sometimes I am pleasantly surprised. Posted: 2012-11-07, 20:22 Post subject: Hello ! I do not say that it is the good method, I think that a daily practice of this instrument so difficult is an important part in the progress. But for reasons of health, I feel tired the evening after the work, and to play Shakuhachi brings me many wonderful things, but takes me so a lot of energy. I also think that that comes because I am not enough moved forward in the study of this instrument, and because I spend maybe more energy than one needs. The weekend I am more dynamic and that takes place better with this strange animal than is Shakuhachi ! Posted: 2012-11-07, 20:33 Post subject: Hello ! It is the good advice which you give me there, I am going to try, play not for a long time but more often. Aimless, just to play a little, and see what takes place. Posted: 2012-11-08, 10:52 Post subject: Hello ! Just doing five minutes of RO-Buki everyday will help you a lot to get started to a daily routine. It takes time to develop a new habit. RO on. Posted: 2012-11-09, 19:48 Post subject: Hello ! Yes, RO on ! Thanks. Posted: 2012-11-10, 17:01 Post subject: Hello ! It is a small improv that I just made on my Yuu. Tell me honestly what you think, unless you are in a bad mood ! Posted: 2012-11-11, 00:50 Post subject: Hello ! Sounds good for self taught! Keep up the good work, you have good tone control. I think some lessons or even some pointers from a teacher would set you in good stead. I believe there are a lot of shin-tozan players in France, while you may want to play your own thing, having a teacher give you some assistance will make the whole thing easier! The gong sound at the beginning scared my cat. Posted: 2012-11-11, 20:18 Post subject: Hello ! Thank you Jam, for your encouragement. I'm glad, it motivates me to continue ! 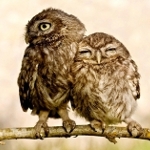 Posted: 2012-12-27, 11:09 Post subject: Hello ! Hi Plume, please excuse me if I spelled your name incorrectly. I like your 'impro', I can feel your interest and also feel you are doing well for the time you have been playing on your own. I suggest you do long notes and move the volume back and forth slowly from quiet to loud and back to quiet. Plus use your belly to deepen your breath, this also takes time to develop but will make a big difference to the energy of your playing and also your energy in daily life. Maybe your work has a situation or an interesting room with echo that you could take a flute to and play a little during the day. Your 'impro' sounds confident enough that anybody hearing should not be critical. Walnut oil is very good because it does not go rancid or smell 'off', also Camelia, but other vegetable oils go rancid so stay with Walnut. But you may notice it takes a long time to dry, especially on the outside You only need to oil your Jinashi every six months. Posted: 2012-12-29, 14:07 Post subject: Hello ! Thanks Karmajampa, I'll follow your advice to use the muscles in my abdomen to expire, and prolong the life of my breath. And further modulate the volume of the sound. Posted: Today at 12:20 Post subject: Hello !